Indepedent game development studio thatgamecompany made a surprise showing at the recent Apple presentation at Steve Jobs Theater, wherein the company revealed an all-new IP titled Sky that would launch as a timed-exclusive for Apple devices. Apparently Apple and thatgamecompany are getting along quite well, as the studio has recently announced the imminent arrival of an iOS port of their surprisingly relaxing title Flower. Available right now for download on both iPhone and iPad, Flower for iOS devices still presents the same sort of whimsical gameplay that made the PlayStation 3 original a surprise hit among fans. 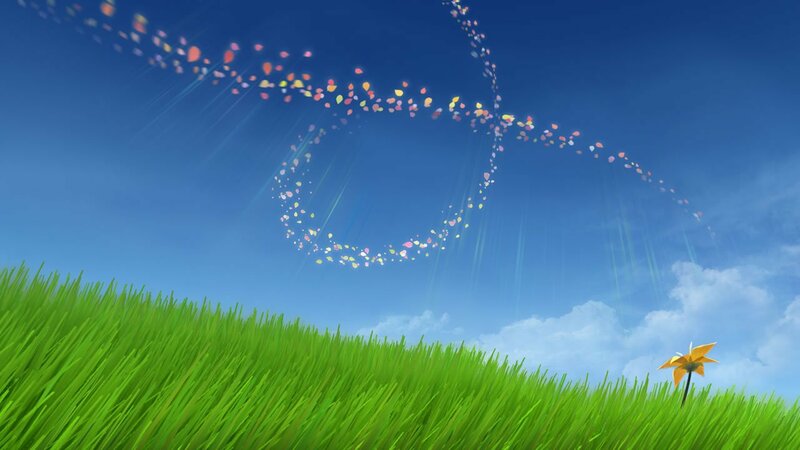 By controlling the wind itself, players are tasked with blowing a flower petal through the air, sweeping across fields and plains, and generally having a very mellow experience. If it sounds kind of hard to describe, that's because it is; fortunately, players can get a feel for the general vibe by checking out the game's new mobile trailer, featured below. Controlling the wind in the original PS3 version of Flower meant taking advantage of the Dual Shock 3's motion-based input option. Fortunately for mobile players, Apple's phones and tablets feature accelerometers and gyroscopes, meaning iPhone and iPad users should be able to play Flower in essentially the same manner as they would have with the original version, except now they'll be tilting their entire devices as opposed to a game controller. And, if the rapidly-waning popularity of PS3 motion controls serve as any indication, the motion control option on the iPhone could (and very well should) be far superior to the original PlayStation variety. Any players interested in picking up Flower can do so now via the Apple App Store for an acceptably-low price of $4.99. Though not a long experience by any means, hopefully Flower will help pass the time while we wait for more details about thatgamecompany's upcoming mobile title Sky. Action-packed, addictive, and always entertaining -- these are just a few of the phrases we'd used to describe the titles we've featured on our list of the Best iOS Games.